Episode 95! MakingStarWars.net’s Now, This Is Podcasting! There’s less than 100 days until Star Wars: The Force Awakens and five episodes until the 100th episode of “Now, This Is Podcasting!” Here’s episode 95 sponsored by TOPPS STAR WARS CARD TRADER! This IS the app you’re looking for! GIVEAWAY: Don’t forget to enter the MakingStarWars/Topps Digital Star Wars Card Trader giveaway! 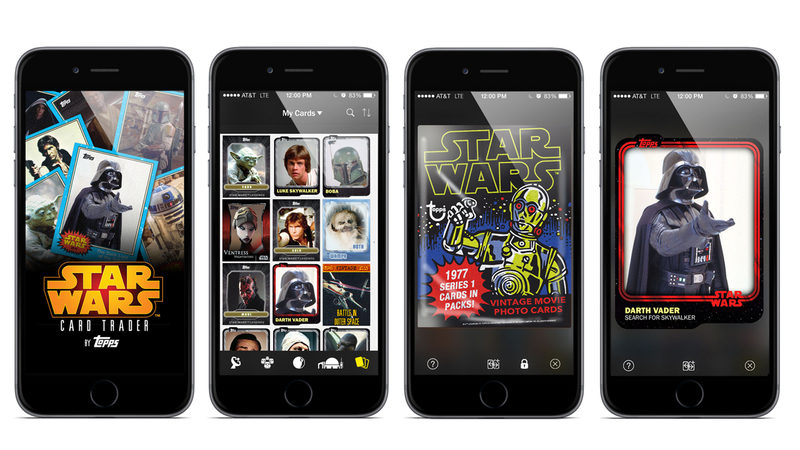 Tweet @makingstarwars and @toppsdigital your favorite card and use #NTIPSWCT to enter to win 1 MILLION CREDITS! One winner will be chosen for 1 million credits. 3 other winners will be awarded 500k credits. Deadline to enter is 9/27! Email your questions for the podcast to MSWPodPeople@gmail.com!